Women have made great strides in all walks of life over the last decade. Their participation in the managerial and executive jobs has risen significantly. Women-owned businesses have also grown over the last few years. Ironically gender disparities do remain. Disparity in pay and omnipresent glass ceiling are some of the major obstacles in the career success of women. However, women have ample opportunities to deploy and arrange their special strengths. They also have the ability to adapt in a work atmosphere which is regarded as men’s domain. Education is an important factor that almost all organizations in the corporate world pay attention to. Till ‘90s, a majority of Indian women didn’t have access to college degrees. The same trend was visible in case of post-graduate and doctorate levels. According to the 2011 census, 65% of women are literate. The number of young female working professionals opting for professional degrees has significantly gone up as a result. Therefore, in order to make a steady career growth, acquire the highest degree possible. Thanks to the presence of financial aid from banks, you can deal with issues such as lack of money. You may opt for distance learning if you wish to pursue a course while doing a job simultaneously. This is a great way to resolve the issue of lack of time. Look for informal ways to upgrade your knowledge by becoming a part of professional organizations by attending conferences. Read trade publications in your industry. Look for companies that provide training programs and professional development opportunities. Ask interviewers regarding the exact type of training programs that they offer. Your main aim should be to create a set of portable skills which are applicable to different areas in the industry you are working in. If you rise to higher managerial positions, then having high academic qualifications cannot be the guarantee. You need to be proficient in the use of the internet also. Professionals who are more efficient in the use of the internet spend less time surfing as they know what they need to look for. Across the world, ladies are already making efficient use of vast amount of information that the internet offers to them. In an era when internet is the major medium of information, a knowledgeable professional with high technical proficiency is likely to get quicker promotions. In a study conducted by the American Association of University Women (AAUW) Educational Foundation confirmed that distance or online learning is gaining precedence and most of the students are women. 60% of these online learners were aged 25 or above. The main point which we want to emphasize here is the fact that women can maintain their cutting edge through sustained dominance of the internet and taking maximum advantage of online learning opportunities. To deal with these changes in a successful manner, you require a different type of knowledge and technical experience. High proficiency in interpersonal communication is a vital necessity for organizational success at present. Generally, being an extrovert helps a woman earn a better feedback in their annual assessment report cards. Therefore, you need to use your strong interpersonal and communication skills at each opportunity and make your presence felt at office. 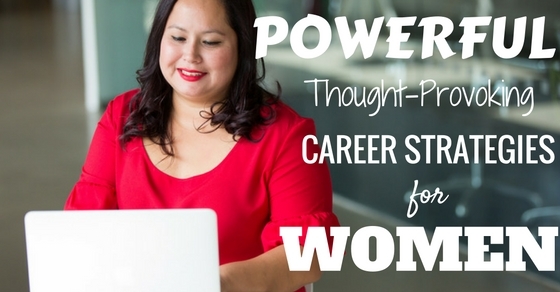 Career planning is vital for any professional. But women usually have greater issues to deal with on their way to success as compared to men .Women usually come across many obstacles which may hinder their progress. If you have a future plan, then you are less likely to face obstacles if you need to relocate post marriage, have a child or suddenly need to care for an elderly parent. Think about where you want to see yourself 10 years from today. Create flexibility in your career plans to make yourself adapt to the changing situations. Your future plan may require you to make changes in order to adjust to your life. But your main plan should be to make yourself completely prepared when it happens. Creating your own career portfolio can provide you to have an upper hand over other competitors in the long run. Who do you think are better at networking-men or women? Studies indicate that men are better in creating networks more efficiently than women. A study done by EnterChange, an outplacement and career management consulting firm which was covered by Workforce magazine has shown that women are better than their male counterparts to look for their next job through an ad. In contrast, men use networking to look for jobs. So, should you start looking for classifieds? No, men and women have different types of networking? According to writer Kathy Harvey, women are more likely to specify people at lower levels as well as higher levels while men tend to focus on people who have power and influence. Men can benefit from contacts with greater power but women can take advantage of broader and more diverse contact circles. A number of experts are also of the opinion that women are better at sharing as compared to men. Therefore, both can expect more career-based generosity from members within their networks. Women have normally been expected to devote more time to the family and domestic responsibilities and therefore lack the time required to build numerous contacts as men do. In order to be highly competitive in networking, women may need to devote more time in making contacts. They may also ask their spouse to take greater share in handling work and family life. If you don’t have any kind of networking, you can at least look for a mentor. A mentor is a person who will guide you and set your career on the right track. What makes a mentor stand out from any normal contact is the person’s long term-commitment and a genuine concern about your future. A normal contact can be associated with quick introductions, exchange of business cards and calls. The conversation with the mentor includes long lunches and significant time spent in the mentor’s office. A mentor is usually in a high position and has the connections and clout to help you reach to a similar position. A good mentor doesn’t hesitate to engage in constructive criticism. Try to look for someone whom you admire and test the person by asking for advice. Be sure to reveal as much as you can of yourself. Mentors are more likely to look for people in whom they can find some attributes similar to themselves. That is the major reason why you should not look for a mentor too desperately. A mentor wants to work for someone who is respectable. The person may also desire to mold the protégé in his own image which is fair unless the mentor isn’t too obsessive about it and you are OK with the image you are being molded into. You need to have a comfortable feeling as to whether the rapport is OK for a mentoring relationship or not. At that point, you can either come out and ask your mentor or simply tell the person how much you have benefited from the advice you have received so far. You have to express your desire to receive future guidance as well. Though the mentor will have to contribute a lot more than what you do to the relationship, be sure to state that you value and appreciate his or her guidance. The feeling of being valued and making a difference in a pupil’ life will often be a big reward for your mentor. Women often suffer from lack of confidence at office if the environment is intimidating to them. As suggested earlier, creating a career portfolio will help you in a great way to strengthen your confidence. You can also increase your confidence by tracking your accomplishments. Once you have increased your confidence, you need to show your prowess to others. In the present work environment, one of the major factors to your success lies in your ability to let others be acquainted with what you are offering and how you can create a difference within the organisation. Let people within and outside your workplace know about your achievements.